We’ve been to the Netherlands several times before but somehow we managed to miss the tulip season every time due to poor coordination. 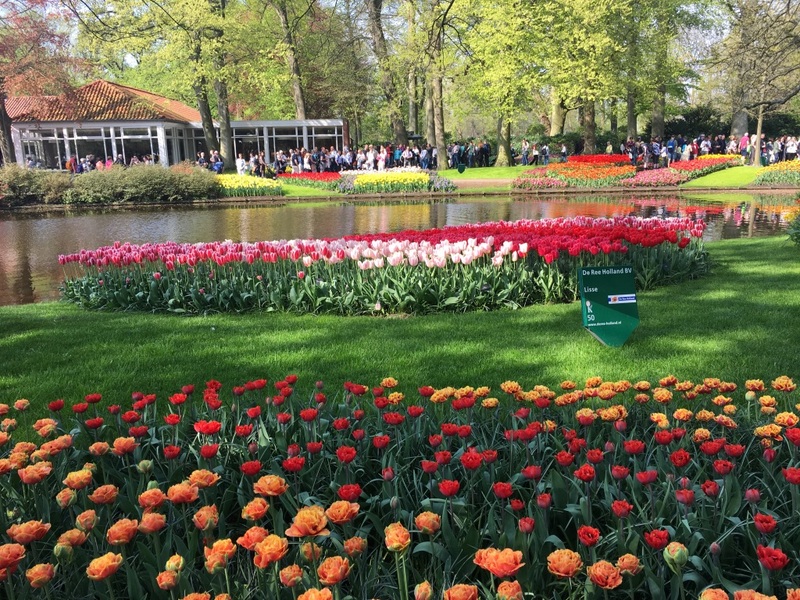 Now that we moved to Amsterdam we couldn’t miss it again so we decided to take a day trip to Keukenhof. 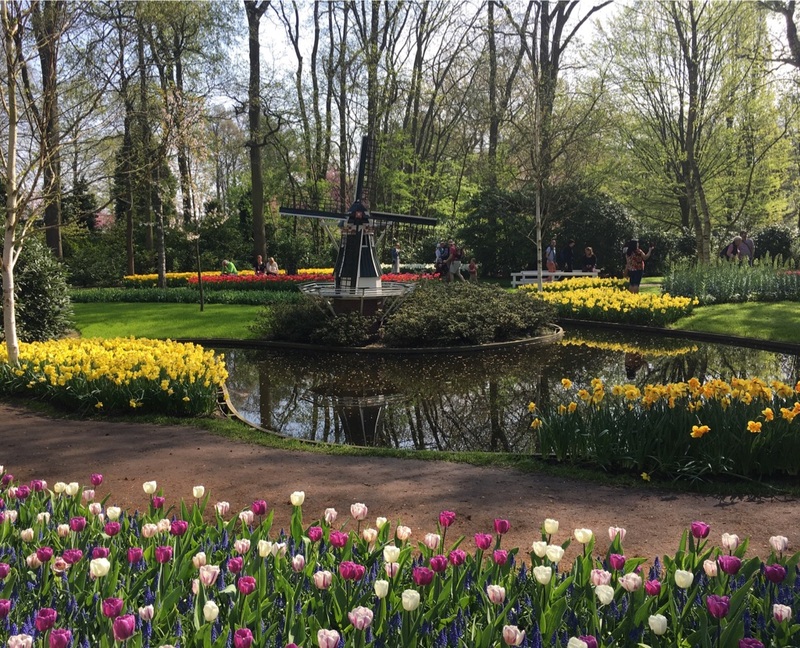 Keukenhof is one of the world’s largest flower gardens with more than 7 million tulips, hyacinths and daffodils in bloom over 32 hectares. What is really interesting is that each year there is a different design and theme for the garden. 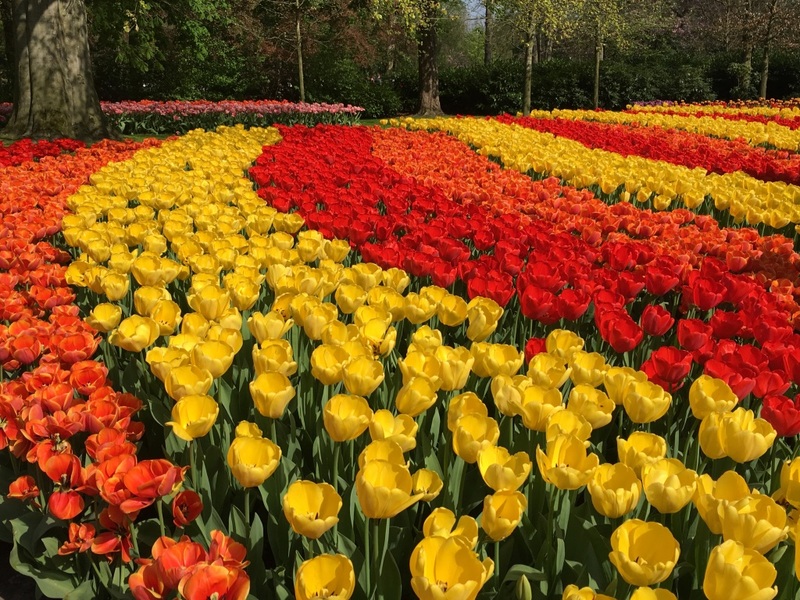 This year the garden’s theme is “Romance in Flowers” probably because it’s impossible not to get into a romantic mood while walking through a sea of flowers that hosts more than 800 varieties of tulips. 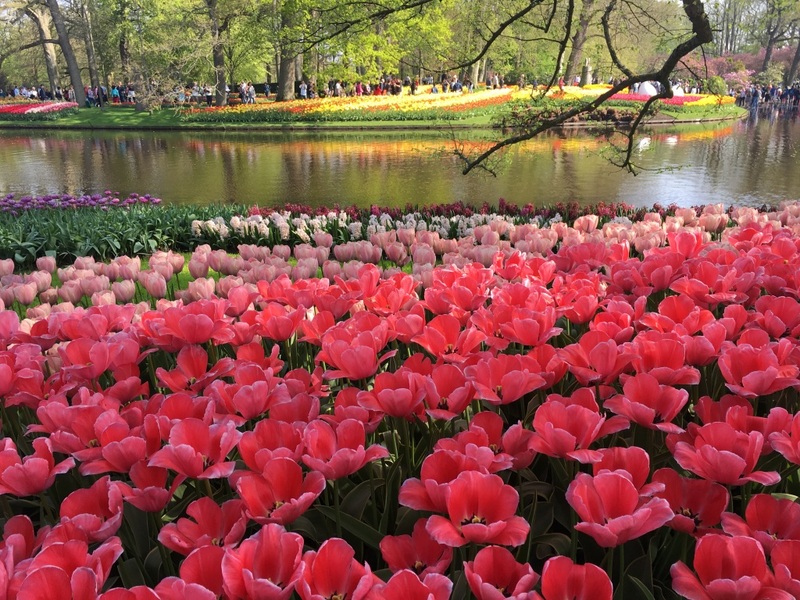 Keukenhof is located in Lisse, southwest of Amsterdam and this year it will be open from 22nd March until 13th May 2018 between 8am – 7:30pm. You can buy tickets online or from any tourist information center in Amsterdam. 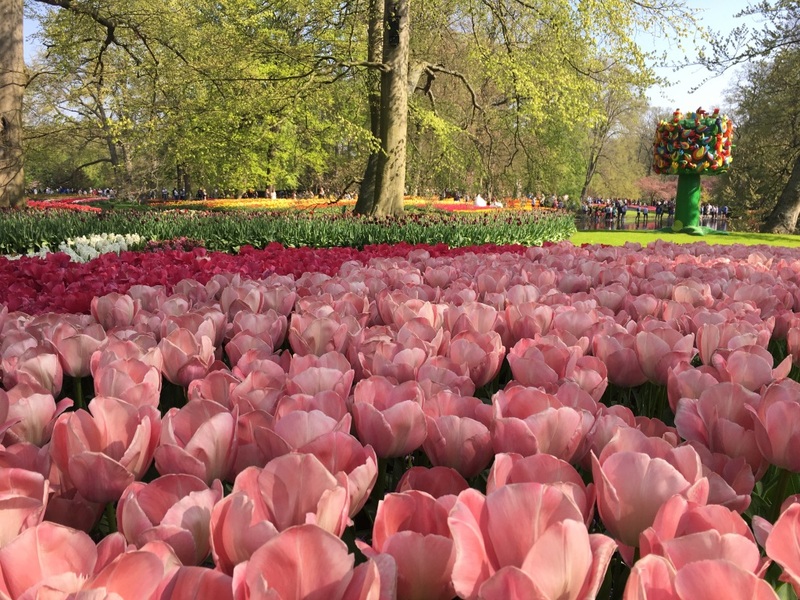 When it comes to Keukenhof tickets, there are plenty of options online so do a bit of research and find one that is suitable to your needs. We bought a combi ticket “Skip the Line + Public Transport to and from Amsterdam” for €29 per person which gave us the flexibility to go and come back whenever we wanted plus the bus to Schiphol is stopping near our place which was also convenient for us. Depending on where your accommodation is in Amsterdam, you can take either bus 397 from Leidseplein or the train from central station to Schiphol airport. 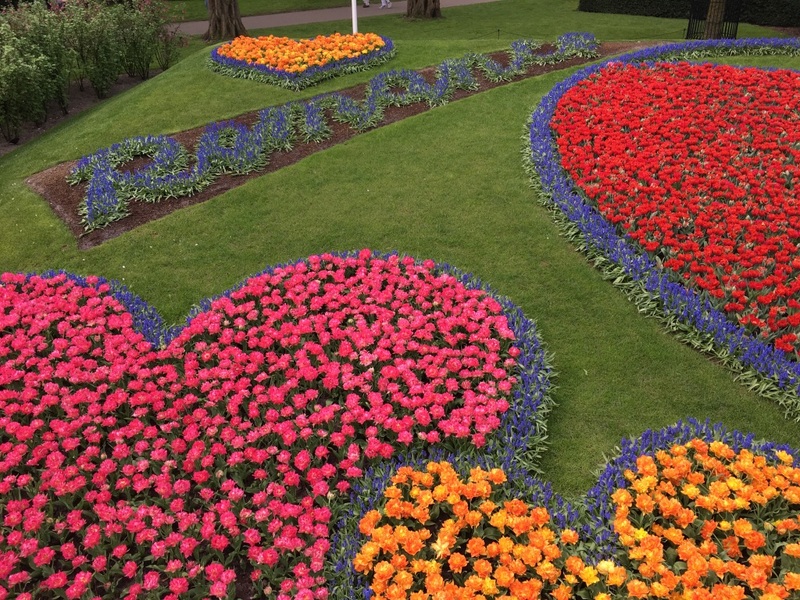 From the airport the Keukenhof Express (bus 858) will take you straight to the gardens. 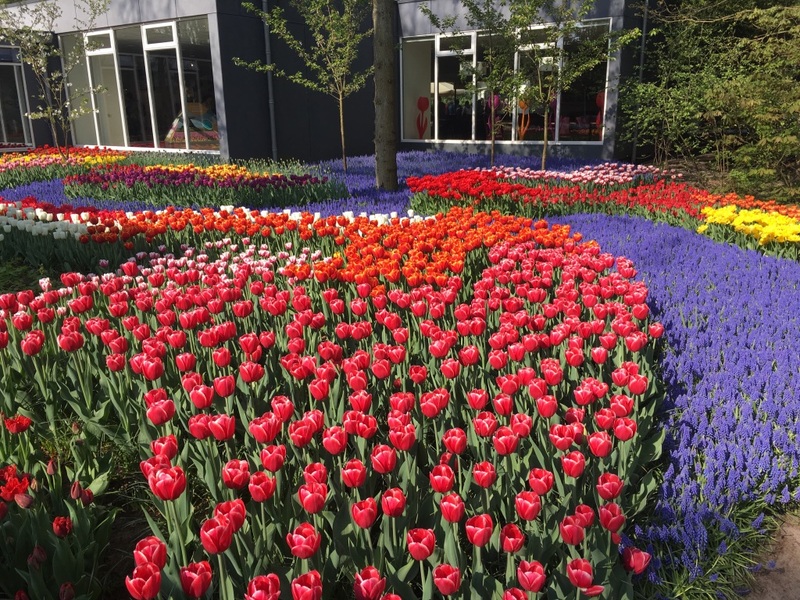 You can find more information about how to get there on Keukenhof official website. At the entrance you can find a free map of the garden to help you navigate around without missing any part of it. If possible, avoid weekends and bank holidays as it tends to be super crowded. We did this mistake, we visited on a Sunday and although we expected to be busy it was way worse. To give you an idea, last year we visited Vatican on Easter and we thought that was the most crowded place we visited – at least until our visit to Keukenhof. We arrived before 11am and the park was already packed but it got worse in the afternoon when we had to queue to take pictures, go to the restaurant or toilet. Keukenhof is a fun place for everyone, including children. There is a petting farm, a maze, a playground and even a treasure hunt to keep the kids busy. Dogs are also allowed in the park as long as they are held on a leash. One of the main attractions of the park is the windmill from where you can overlook the tulip fields so make sure you go there first otherwise the queue will be so big that you will not want to stay in line. From the windmill you can take the Wisper boat for a trip through the bulb fields. 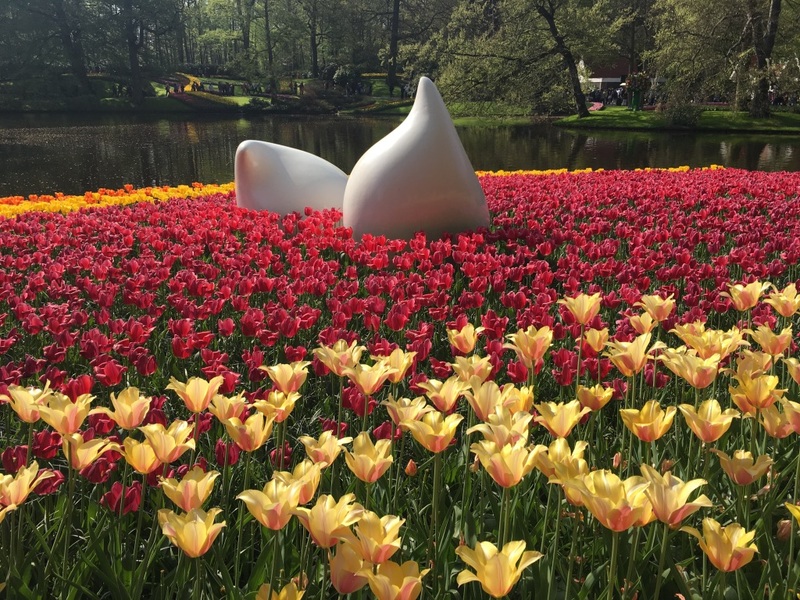 There are different flower shows at Keukenhof, the Beatrix Pavilion is specifically for orchids and anthurium, the Orange Nassau Pavilion for different cut flower for interior design and the Willem-Alexander Pavilion for tulips, lilies and different flowers and plants. 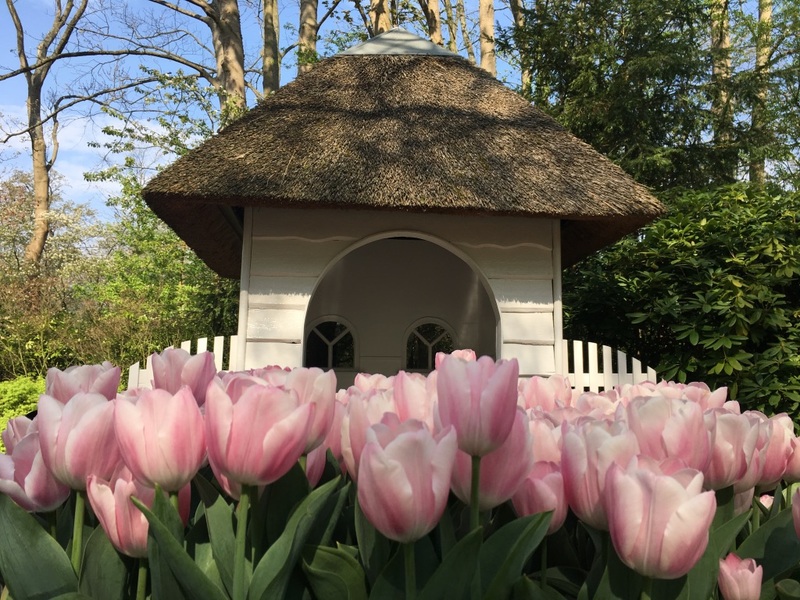 For more information about the history of the tulips, the tulip mania period and the tulips nowadays head over to Juliana Pavilion. There are also 8 inspirational gardens to help you get the ideas you need for rearranging the flowers in your own house or garden. 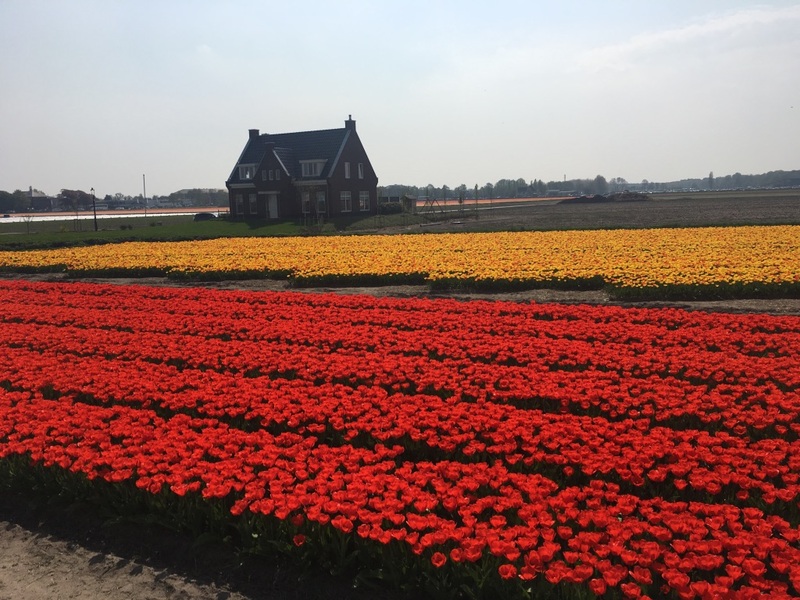 It’s not a secret that Holland is famous for its tulips and many people chose to visit during spring to see the colourful bulb fields. 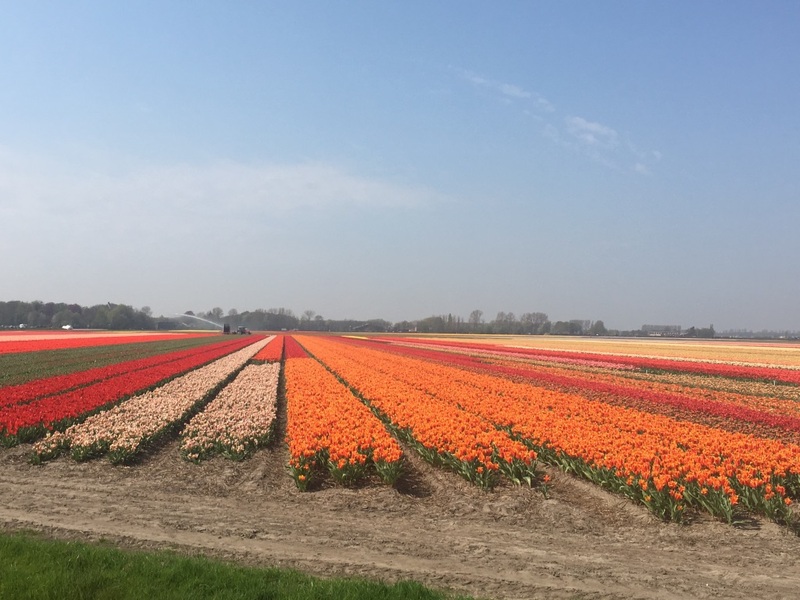 Lisse is well known for its famous bulb plantations that are blooming every spring, attracting tons of tourist all over the world every year. 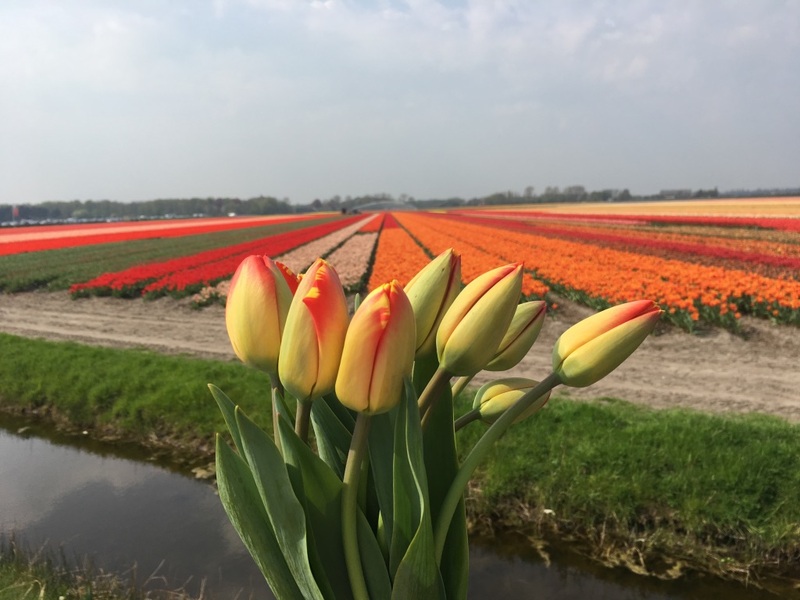 Just outside Keukenhof garden you can find tulip fields reachable by foot or you can rent a bike and ride along the fields exploring one or several route options around Lisse. 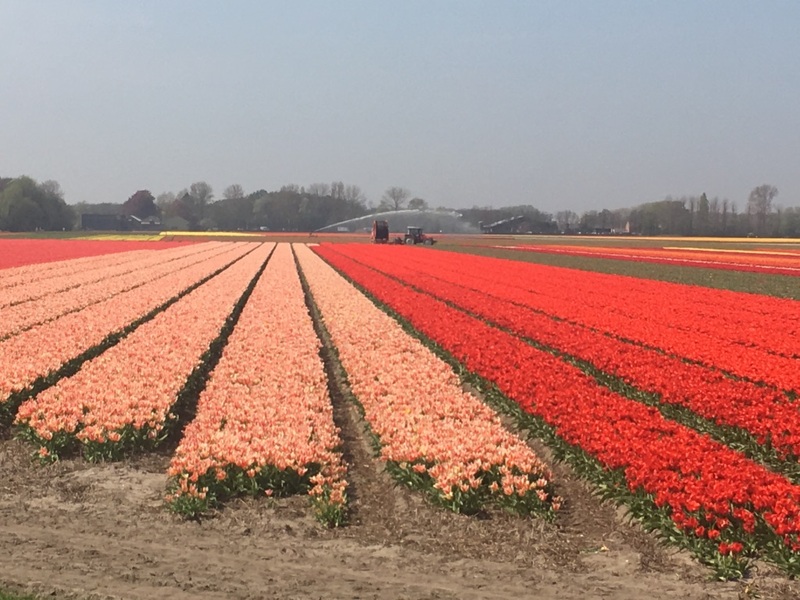 Although you are not allowed to enter the tulip fields, some tourists break the rules only to get a Instagram worthy picture so please don’t be one of those tourists and stay on your path. Walking around the fields, we encountered two Dutch kids selling tulips in front of their house so we couldn’t help ourselves and bought a tulip bouquet on our way back. Keukenhof is worth visiting if you like flowers, otherwise there is no point of you losing your time and money to see something you don’t like. Also if you cannot stand crowds it’s better to visit during week days to make the most of your visit. 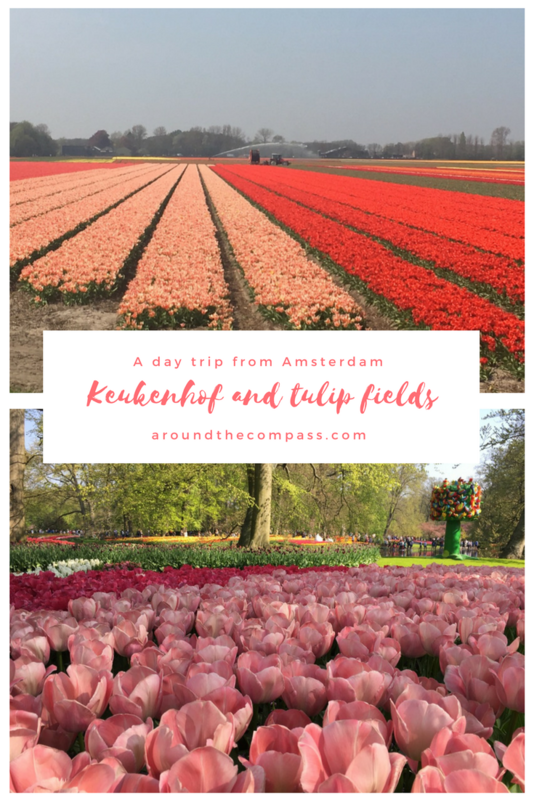 If you are only interested in seeing the tulip fields, you can skip Keukenhof garden but we would suggest on visiting both as the garden is definitely worth a visit. 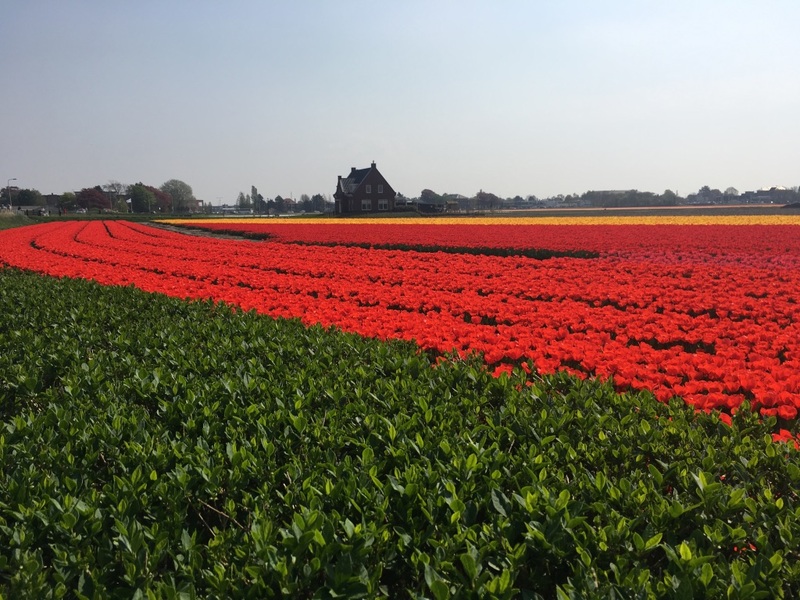 The best way to visit the tulip fields is by bike, you can rent one close to the main entrance at Keukenhof or bring your own. • Make sure you have enough space on your memory card as you will take tons of pictures. • Bring some food and drinks and have a picnic while admiring the flowers (you can also buy from there but the prices are a bit higher). • Stay on the path and don’t pick the flowers. • Visit the tulips fields outside the garden. • Avoid weekends and bank holidays if possible.